Your nervous system controls every function within your body. Chiropractic care is designed to optimize your nervous system and healing potential. Chiropractic care works by eliminating interference with your nervous system.Your nervous system controls all functions within your body. Because your nervous system is so vital to your health, your body encased it in bone to protect it. Those bones are known as your spine. Chiropractors assess and correct misalignment within the spine which can interfere with your nervous system. By gently correcting the misalignment, we restore function to the nervous system allowing you to heal to your fullest potential. Babies, athletes, office workers, children, elderly, weekend warriors, pregnant women, manual laborers, families... Everyone! We all have stress in our lives that can impair our health. Those stresses can be anything from a fall, to emotional stress, or even the food we eat. Chiropractic care provides a natural way of restoring and maintaining your health. What can Chiropractic care be useful for? What makes our care special? Dr. Sarah utilizes a unique blend of soft tissue techniques, advanced cranial training and gentle realignments to provide whole-body care. 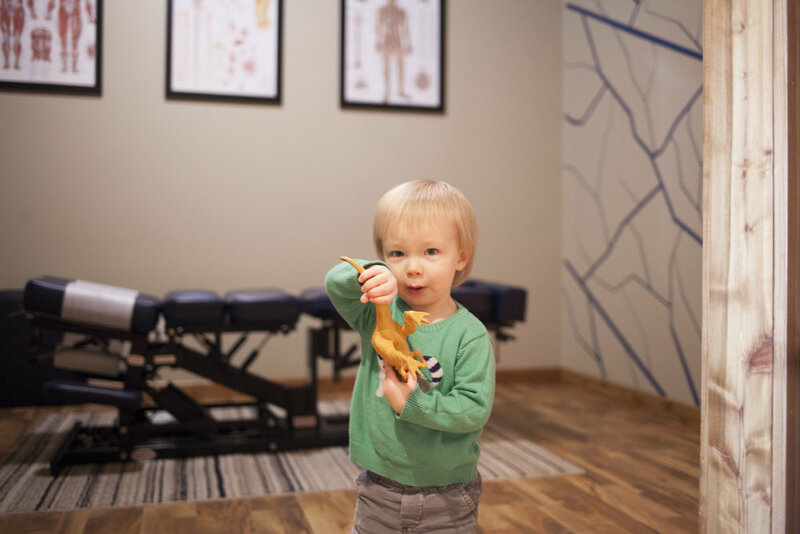 Releasing muscular and connective tissue tension first allows us to provide gentle yet effective care! Her care is relaxing, restorative, and ensures the whole body is cared for.